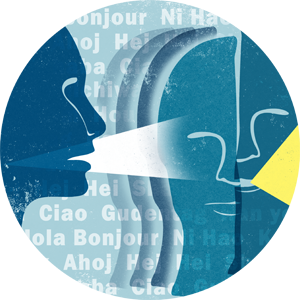 The UK Phonetics Laboratory is a resource for anyone at the University of Kentucky conducting experimental linguistics research. The lab features state of the art support for acoustic, eye tracking, ultrasound, and reaction time research all connected to a pool of high end linux workstations. The lab can accommodate voice recordings, articulatory measurements, speech perception, reading, and many other research methodologies for lone participants, two to three participants working together in the same booth, or for two groups of participants collaborating from separate, sound-attenuated booths. Please visit the lab's web page: http://phonetics.as.uky.edu/ if you are interested in participating in one of our ongoing research projects. The Collaboratory for Research in Computing for Humanities (RCH) was founded at the University of Kentucky in 1999. Under the directorship of Mark Richard Lauersdorf, the mission of RCH is to provide physical and computational infrastructure, technical support, and grant writing assistance to university faculty who wish to undertake computing projects in the humanities, social sciences, and fine arts, and to encourage and support interdisciplinary projects among individuals and groups from UK and around the world. The Linguistics Program is an Affiliated Program of the RCH and as such engages in collaborative activities and projects utilizing the resources of the RCH. The Shughni Language Workshop, a month-long work session involving scholars from the University of Kentucky and Khorog State University (Khorog, Tajikistan), was held in RCH's facilities in July 2008. The LINCD Research initiative makes use of the RCH for its many activities.